What Sources Can Shed Light on the Bible Since It's Not Authoritative? I don’t think I can truly look at the bible and tell my children it is the authority for them. How can I cross reference historical documents and other sources for them, in addition to the bible, to present my religious faith to them? I truly cannot look at the bible, a man made document, as “It.” Yet, I know one can believe without seeing it as the “end all.” It is wrong to tell my children to take all of it at face value. Yet, we know it presents the truth of our faith. I don’t want them to take it out of its historical context. Thanks for your letter. 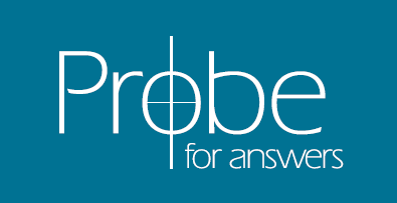 Although we at Probe would hold the view that the Bible is a divinely-inspired text and historically accurate in all its details in the original manuscripts, nevertheless, if you want to educate your children about the Bible and be sensitive to its historical context, etc., then one of the best ways to do this is by reading good, scholarly commentaries on the particular book of the Bible that you’re currently studying. In addition to commentaries, of course, there are excellent books dealing with Old and New Testament backgrounds. These books would discuss customs, important historical persons and events, etc., that really make the biblical text come alive. For example, here is a link to some books on Old Testament Backgrounds and here is one for New Testament Backgrounds. Finally, a very helpful site, with hundreds of articles on all sorts of biblical and theological topics is www.bible.org . For example, here is a list of topics they have articles on: . I hope this information is helpful to you and your family in studying the Bible! "Why Are Dating Methods Unreliable? ""What Resources Can Help Me Witness to Hindus?"